Hi all! Today, I welcome Cher to my blog. She's one of the awesome people sponsoring prizes for this month's Paying Forward Awards. Thanks again for stopping by! Thank you, Misha, for allowing me to write for your blog and share my thoughts with your wonderful readers. One of the best bits of advice I’ve received as a writer is to write every day, following through with this is another story entirely. Over the years, I’ve tried my best to write every day. It may last for a while, but it never fails eventually I falter and it takes a while to get back into the rhythm once again. It’s so easy to simply say, “I’ll do it tomorrow,” or “I’ll start again next week.” The problem is once you leave the routine for too long, it’s hard to get back to writing every day, especially if it was a difficult fit in the first place. What type of writing can be contributed to my status of writing every day? Does my blog count? If I’m in the editing mode of a novel, does that count as my writing for the day? How long do I need to write? With just these questions, one can find themselves lost, confused, and deflated. I’m sure there are many more questions to be pondered. And multiple answers to go with them all. Do I have the answers for you? No, but I can give you my answers which may help clear some of the stress you might be feeling. I’ve found on most occasions any writing can count toward your daily status. But, you must be very careful with this. If you blog every day, and you put this toward your status, trust me, you’ll skip on the creative writing more than once. The same goes for journal writing. I’m not saying not to do either of these daily, especially the journaling, which is extremely helpful to clear away some of the cobwebs produced by stress. Just consider these activities outside of your daily writing. Editing mode should be considered part of your daily status. You may not be actually writing, but you are putting time in on a project and making progress. The only way around this is if you are working on multiple projects, and have time for both, an editing session and a writing session. But not all writers have multiple projects in play. In the end, if you are putting time into your work, making forward progress, then you’ve written for the day. Another mode I like to include is pondering sessions. If you are thinking about your story and getting somewhere inside your head, well that’s writing isn’t it? You’re working, even if it doesn’t make it onto the page, even if the results are jottings on a napkin. Trust me. You are making progress with this simple task. Now for the million dollar question, how long do you need to write? This is the trickiest issue, but the simple answer would be as long as you can. If you have the sort of life where you can write for two hours per day, I’m jealous, I really am. If you are working a full-time job, have kids at home, you will need to work hard for your time, but it can be done. I’ve heard of many writers accomplishing their dream in the midst of chaos. But, if your time limit is scarce on most days, try short sessions, ten to fifteen minutes per day. The progress will be slower, but you’ll be surprised by how much you can actually accomplish in this short period. And, when you have an hour available, you will already be geared toward the story. You can get some writing done, instead of using the first thirty minutes to get back in line with the story. The most important part is to keep you creative muscles in shape. Daily writing, whether it’s a project or a free flow session, will keep your brain active and your muse from abandoning you. And, don’t forget to read. Another bit of good advice. Writers evolve with each word they write, and they grow with each word they read. There’s no way around either of these. To be a writer, you must read and write. Do you write every day? What are your answers to some of the questions mentions? Do you have other questions which bother you dealing with this topic? Have you received a piece of advice that you’ve found invaluable? Other available links: Footsteps of aWriter (blog), Twitter, Facebook, and eTreasures. 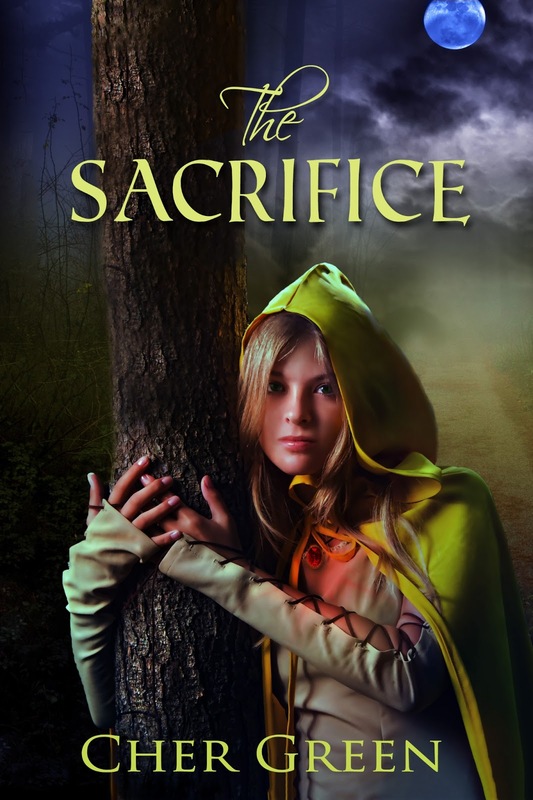 Her latest publication, The Sacrifice, a children picture book, released early last week and is available for purchase at eTreasuresPublications. The Sacrifice is a fairytale-like story of a young woman's journey to save her sister. I do think about it! Glad that counts. The Sacrifice sounds like a beautiful story Cher, congrats. Also I'm glad you discussed the issue of writing daily and what counts. It's important to know what you want and most of all WRITE. So many of us slack off on that part. Glad you came by. As long as the blogging and thinking count I'm not too bad! Great advice. On days where the writing just won't happen, I find reading a great way to still keep my mind on writing and stimulated. Some days you just have to feed the well before you can draw on it again. Congrats, Cher! It's hard for me to get back into writing, too, when I leave off to revise, edit, format, and promote. This time I'll try a little every day... maybe just a few hundred or so. Thank you, all! Reading to feed the well, totally agree. :) Well, thinking alone won't get it guys, but I know you know that, right? The every day writing is a tough road, and trust me, I can't say I stay on the horse myself. The important thing is to get back on. One way I've been able to justify spending time on blogging and journaling is that sometimes I take lines from my blog posts and journal entries and put them into my stories. But I've never been able to write every day; I wish that I could, and I think my life would be better if I could. But it's just not possible. So I write several times a week instead. I do write every day. Well, almost every day. Since I started, in about February, I've missed about four days. I do count editing and thinking as writing. I also added reading books on the craft to that, as long as I've already got a good quota of 'writing' done as well. Blogging doesn't count for me. And good thing too, because I'm very bad at remembering to do it regularly! I try to write everyday, at times I obsess over the word count. With so many other obligations and responsiblities, adding new words every day, day in and day out can be more than a challenge. That's for sure. I've discovered that the 2months last year, where I did about ten minutes free writing every day, was my most productive 2 months. 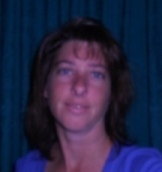 I write 6 days a week @ 2 to four hour stints as well as read. Great post! Wonderful to read all of your comments and to meet some new voices. Excellent advice, and I love the designation of what counts. I have written something in some regard every day of my life (almost) since I was 14. I disagree in one regard: journaling is stimulating to the writing process, and keeps one thinking as a writer. I often think that journaling is the thing that's kept me writing all these years. It's where a body can truly learn to cultivate voice, and thus compliments the process. I sometimes tell myself I'm planning or researching, but I know that writing time means actually writing. I do most of my writing on weekends because I have the time. I procrastinate writing on my stories simply because there is no deadline. Blogs need updates, blogfests have post dates, critiques and reviews have expected return dates from the authors. You have excellent tips and advice. Very nice cover for Sacrifice, Cher. Interesting post. I don't get to write everyday, but I do think about it, especially if I'm stuck in a plot point. I do try to connect with other bloggers every day. Blogging = marketing = kinda writing... doesn't it? Good advice -- I struggle to write 1K/day; sometimes it's more, often it's less, but it's good to have a daily goal. Great advice, Cher! I try to write everyday, but sometimes I say, "I'll do it tomorrow." I don't count my blog writing toward my word count. I have been doing better about writing everyday at least some amount. I think having a blog is a great help in staying used to that keyboard. Oh I like this! And Cher sounds pretty great! I really like the blurb for The Sacrifice! I love fairytales, and I love my sister...so its perfect for me! Hope all is going well for you Misha! Sorry I havent been blogging much lately, but Im hoping things are going well from you querying! Awesome post! I'm always writing something, even if it's a blog post or a letter. The Sacrifice sounds fantastic! I love that cover. Nice to meet Cher. I had to stop counting blog posts because it was taking time and creativity from writing. I think you raise good questions every writer should ask. This is really nice advice! I really hope I can write everyday. I don't write every day, but I do try to do something writing related - even if it's just to buy stamps for future submissions. great post! Lovely to meet Cher and get to know more about her book. I try to write everyday or at least do something writing related. She's right about routine. Once you break it, its' hard to get back. Nice reminders, Cher. Misha, thanks for inviting her. I do write in some capacity every day. Sometimes journaling, sometimes blogging, sometimes reviewing books (which really helps keep the writing muscles tuned up, because you have to think about what makes for a good story and good storytelling. And I'm almost always writing my fiction in my head, although that doesn't make it to the page every day. But I agree with Cher that it counts. It counts a lot. It's been a long... long weekend.